We took a risk! In 2014, we expanded our traditional keynote Annual Forum luncheon to be a full-day, interactive, learning and networking experience. We created a place where the full spectrum of Minnesota’s philanthropic community could come together to honor the history of generosity, and together imagine a new future where donors, funders, nonprofit and community leaders could do even more good together. Last year’s Annual Forum theme, Disruptive Philanthropy, developed from the idea that change isn’t always easy or comfortable, but is necessary in order to make space for new ideas and even better outcomes. What we found was that people were ready and excited to challenge the philanthropic status-quo. People were ready to move Disruptive Philanthropy into action. With over 850+ ideas generated at Annual Forum 2014, the Council winnowed them down to these five significant themes. On March 24th, 2015, we hosted the #DisruptMN Town Hall to reconvene, share what we had learned, and begin to move Disruptive Philanthropy into action. 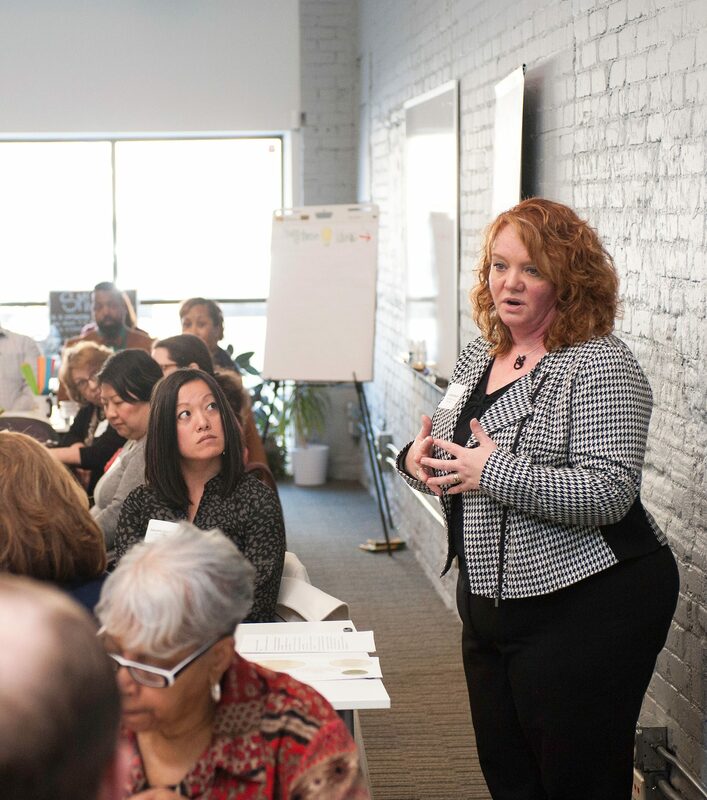 With a room full of innovative, collaborative-thinking, and engaged cross-sector leaders we continued to challenge the traditional model of philanthropy by providing the space for conversation to take place. It was a great place to start, but without a plan and the collaborative will to put the ideas into action, often these great conversations go without action. So we asked #DisruptMN Town Hall attendees to help move this work forward, and 24 people committed to action! The appetite for change was evident. It’s time to continue the conversation and make a move towards action. Charities Review Council is excited to present Annual Forum 2015, Philanthropy 2.0: Radical Collaboration. When it comes to Radical Collaboration, we believe everyone has something to ask and something to offer. Annual Forum 2015 will provide the space, place, and tools to bring the ideas and opportunities together. At Annual Forum 2015, you’ll hear from cross-sector leaders who are leading the way in innovative, disruptive and collaborative efforts both nationally and locally. We’ll also hear from you! Minnesota has long been recognized for its strong nonprofit and philanthropic infrastructure, so where better to look for the answers to our burning questions around Radical Collaboration than right here in our nonprofit community. Annual Forum 2015 will provide the space to make that a reality. Register today to join us Tuesday, September 22 at Annual Forum 2015, Philanthropy 2.0: Radical Collaboration!